Monuments of Delhi presents a comprehensive collection of heritage architecture dated to Asokan, Rajput, Sultanate and Mughal rule in Delhi, currently protected by the Archaeological Survey of India (ASI). This beautifully produced book is illustrated with over 150 stunning photographs – both archival and contemporary – and rare architectural sketches. 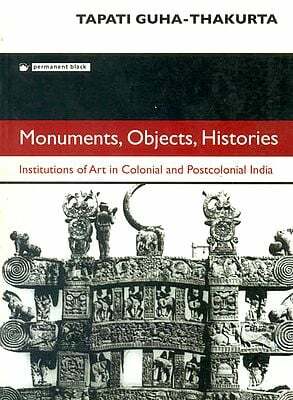 These images are accompanied by brief, lucid descriptions of the place of these monuments in history and art. The city of Delhi is a living museum, and the ASI is both its curator and custodian. The ASI’s work extends from excavation, conservation and restoration to academic exploration of the many histories of Delhi. 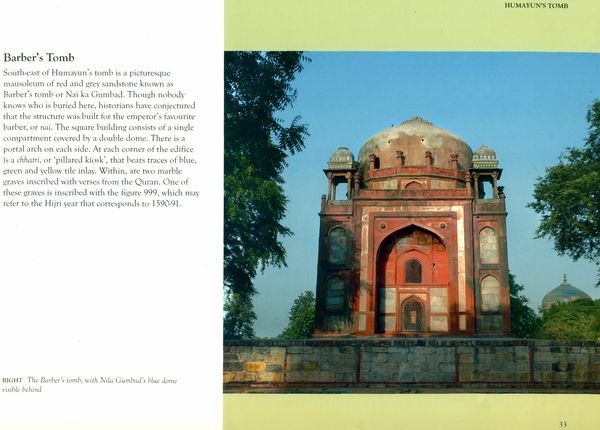 Monuments of Delhi addresses the general reader, and presents a succinct view of the glorious built heritage that makes Delhi one of the most architecturally exiting cities in the world. 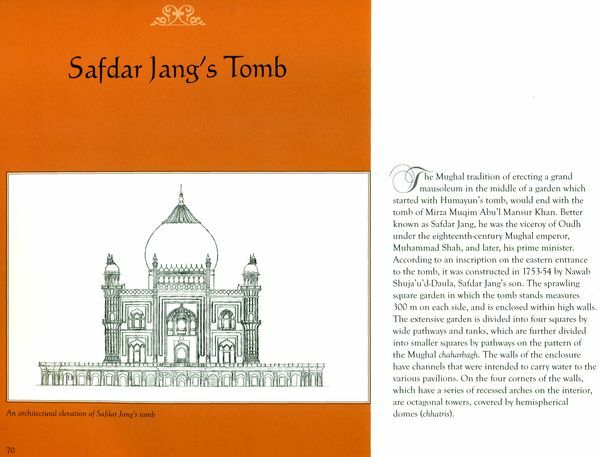 The monuments are grouped geographically: we begin with the heritage structures in New Delhi, continue with the monuments in Shahjahanabad and further north, and follow it with the protected monuments in the south of the city, from Hauz Khas and its environs via Mehrauli to the fortresses of Tughluqabad and Adilabad. The rich cultural heritage of India is embedded in its beautiful and monumental heritage buildings. Since its inception during colonial rule, the Archaeological Survey of India (ASI) has played a pivotal role in discovering and preserving these hidden treasures. Following the Uprising of 1857, the ASI was established under Sir Alexander Cunningham, who was given the mandate to generate ‘an accurate description illustrated by plans, measurements, drawings or photographs and by copies of inscriptions of such remains as deserve notice, and a record of the traditions that are retained regarding them’. Today, the ASI is a modern, pan-Indian heritage management institution. Occupying pride of place along Delhi’s broad, tree-lined avenues or hidden in the city’s narrow lanes and urban villages are monuments that recall not one but many past ages. 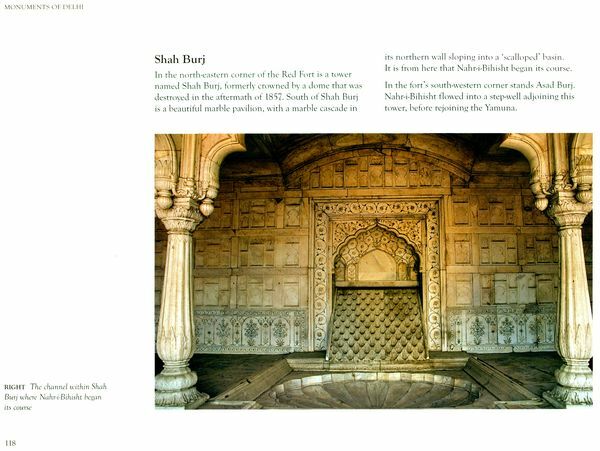 From its earliest, semi-mythical origins, through more clearly defined passages of proto historic, early historic and early medieval periods to early Islamic architecture that began with the Delhi Sultanate, established in the twelfth century, and culminated in the efflorescence of Mughal aesthetics with the magnificent Red Fort, Delhi has been a canvas painted over by some of the greatest rulers, poets and saints in the world. The capital of India boasts of three World Heritage Sites (Qutb Minar, Humayun’s Tomb and Red Fort), some of the richest excavation sites in the country (Purana Qila and Salimgarh), beautifully landscaped parks dotted with medieval tombs (Lodi Gardens), and architectural marvels such as India’s first true arch (still standing in the ruins of Balban’s Tomb) or first double dome (that of Sabz Burj, set amidst a sea of traffic in central Delhi). 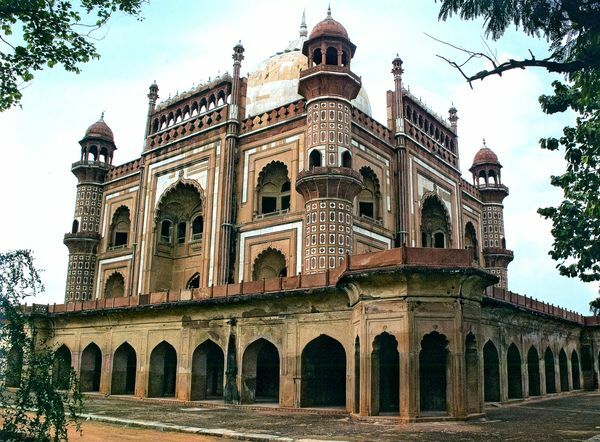 Delhi has ageless monuments to saints (the dargah of Nizamu’d-Din) and to emperors (Kotla Firoz Shah), grand forts like Tughluqahad and small, virtually anonymous tombs such as the monuments of Green Park. In short, the city of Delhi is a living museum. The Archaeological Survey of India is, in a sense, the curator and custodian of this museum. 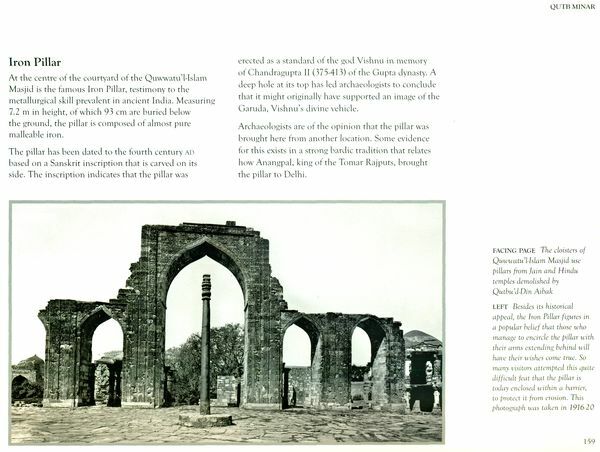 Our work extends from excavation, conservation and restoration to academic exploration of the many histories of Delhi. In Monuments of Delhi, we hope to reach out to the general reader. Presented here are forty-seven monuments, largely from Sultanate and Mughal rule in Delhi, a period that ranged from the twelfth to the nineteenth centuries. This volume is illustrated with over 150 stunning photographs - both archival and contemporary - and architectural sketches and these images are accompanied by brief, lucid descriptions of their place in history and art. 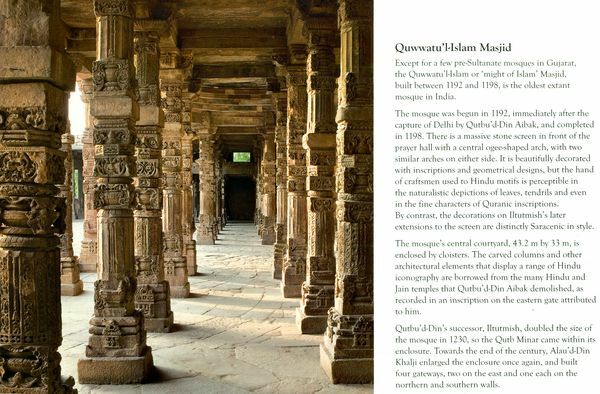 We hope the book will give visitors to the city an attractive introduction to its many treasures, while also reminding its citizens of the truly monumental effort of centuries that has gone into making Delhi one of the pre-eminent cities of the world. The history of a city can often be told through its monuments. 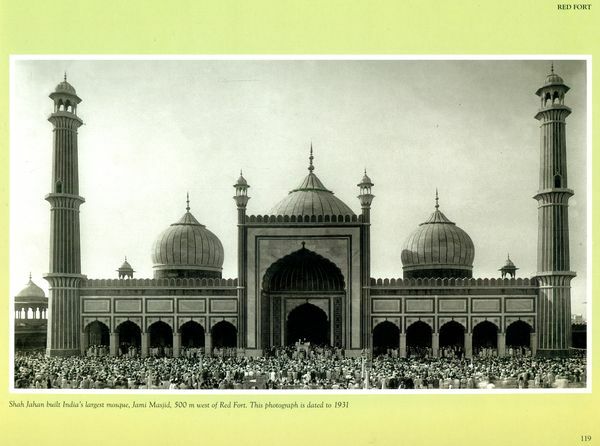 Delhi not only has more than its fair share of buildings, but a history that is more complex and interesting than most. For many centuries, with relatively short interregnums, it has been a capital, sometimes of vast empires. It has absorbed many foreign peoples and influences while retaining its own peculiar identity. This has resulted in a rich culture, which has continued to the present day. Delhi’s regional importance has historically stemmed from its geographical location: on the watershed between the two major river systems of the subcontinent — the Indus and the Ganga. 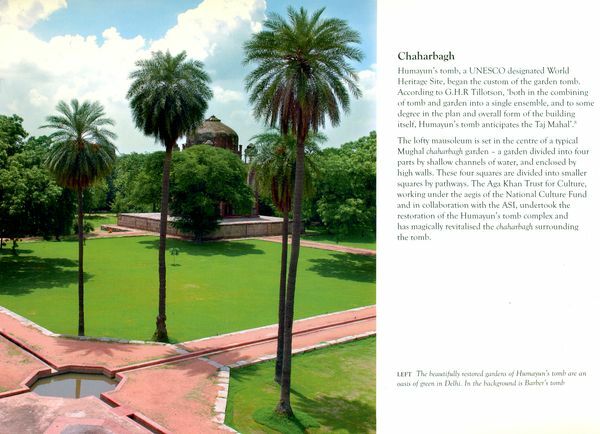 It is therefore a gateway to the fertile Gangetic plain, which empire-builders from early times have sought to control. At a local level, it has provided a varied landscape— bills well-covered with vegetation, but also a major river, Yamuna, which has produced a fertile alluvial plain. Natural factors have, therefore, encouraged human civilization of a high order in Delhi. We know that the Delhi region was inhabited by tool making hominids, followed by human beings, probably as back as 100,000 years ago. In this prehistoric period it was mainly the hilly regions to the south of Delhi that were occupied. The area was almost certainly covered with rich vegetation and ample wildlife — ideal for the hunting- gathering lifestyle of the Stone Age people. It is also clear that, at that time, the river Yamuna flowed through these hills. The river, in fact, has changed course several times and at least six old river beds have been identified. Interestingly, the location of Stone Age sites and their sequence suggests that prehistoric people moved with the river when it changed course. Much of this detail comes to us as a result of excavations carried out over the last few decades by the Archaeological Survey of India (ASI). Excavations around Anangpur and Surajkund (just south of Delhi, in Faridabad district), for instance, reveal that our ancestors made a vast variety and quantity of sophisticated tools. The hilly areas, however, were not suited to agriculture. So when agriculture became the primary source of food for ancient populations there was a shift in settlements away from the hilly ridge and towards the plains, and more particularly, along the Yamuna. There is evidence that Delhi was settled during the Late Harappan period. This was a phase, sometime between 2000-1000 BC, when the sophisticated urban Harappan civilization was well past its heyday, and its great cities had been replaced by scattered rural settlements. In the later part of the second millennium BC, certain events were taking place that are believed by historians and archaeologists to have formed the basis of one of the great epics of India — the Mahabharata. This is the tale of a rivalry and a great war between two sets of cousins — the Kauravas and the Pandavas. The capital city established by the latter, known as Indraprastha, has commonly been identified with the site of the Purana Qila, beside the Yamuna in Delhi. Archaeological evidence, revealed after detailed excavations by the ASI, confirms that this site was occupied at the time these events are believed to have taken place. One question that arises from the archaeological remains found at Purana Qila is - why do we not find the complex city and vast sumptuous palaces described in the epic? The answer to that is a fairly simple one. Though the Mahabharata describes events that took place an extremely long ago, for many centuries the epic was not written but instead passed down as an oral tradition. In repeated re-telling across generations, certain modifications began to creep into the descriptions. In each generation, the setting was described in terms that were familiar to the current audience. So, by the time the epic was finally written clown, perhaps as late as AD 500, the culture described was much richer and more complex than when the events took place. Another site where excavations have revealed settlements going back over the first millennium BC is within the sixteenth-century fortress of Salimgarh. It is likely that this site is also the one identified as Bodh (or Nigambodh) in some ancient works including the Mahabharata. It is no coincidence that two forts — Salimgarh and Purana Qila — were built on ancient sites. Sites that have long been in occupation in the past tend to form mounds, leaving behind a conveniently raised piece of ground to fortify! By AD 500, Indraprastha had ceased to exist as a significant city but much was happening in India that affected Delhi. Though not one of the major political centers, Delhi was an important point on the great north Indian trade route, known as the Uttarapatha. It thus served as an ideal location for one of the several rock edicts marking the reign of emperor Asoka, who ruled over a large territory in the third century BC. The edict was inscribed on a large boulder on a hilly piece of ground, in an area in modern south Delhi known as Kalkaji. Nearby is the Kalkaji temple, dedicated to the goddess Kalka Devi. The edicts put up by Asoka embodied his policies and principles of government, based on the teachings of Buddha, whose religious philosophy he had devoutly embraced. In the fourteenth century, two of these pillars would wind up in Delhi. The ruler of Delhi it that time, Sultan Firuz Shah Tughluq, discovered them during his military expeditions in modern Ambala and Meerut districts respectively.